Another amazing meal @ Woodberry Kitchen. When I'm in Baltimore--I always have dinner here. Our second visit here. The first was about 5 years ago and the food and service then were impressive, exciting and fun. This time was disappointing. Food was so-so. Plating was clunky and uninspired. Service was inconsistent- slow paced at first, then suddenly rushed: our entree came a few minutes after our we received our warm plate/starter. The tables are so small that there was no room for the entree without removing the starter which we hadn't finished eating. Our server was very knowledgeable and seemed to want us to enjoy everything. The issues we had unfortunately were out of his hands. Gave him a good tip, but we won't be back. Too many other great restaurants in this area. Overall a great experience at Woodberry and would visit again. Only complaint was that the rabbit entree was a bit dry. We had a 6:45 pm reservation for a party of 4. Our server, Livingston, was attentive and personable. Each couple split a green salad and waited for the entree. And waited and waited..... Our entrees arrived at 8:10. The chicken and biscuit was a bit charred , nevertheless, got good reviews. The duck was delicious. The steak was "good". Rave reviews for the desserts--ice cream and a fruit tart. A potentially lovely meal was spoiled by a LONG wait for the main course. Can't say enough good about this place. I ate the sous vid steak and it was awesome. The soft shell crab was pretty mind blowing as well. The food was delicious and the service was perfect. I was there for a special occasion and they made it a wonderful experience. Try their ice cream. It is so fresh and light. Everything at Woodberry Kitchen was fantastic! I brought my boyfriend here for his birthday and we went to town, ordering several appetizers, a cheeseboard, a flatbread, entrees, and dessert. Our waiter was kind enough to space out the order for us just perfectly. Every plate was better than the one before it! For dessert, the kitchen wrote happy birthday to my boyfriend in chocolate sauce on our sorbet plate. Very cute! The atmosphere of the restaurant was also really cool, and I appreciated the friendliness of the staff. A great experience overall! 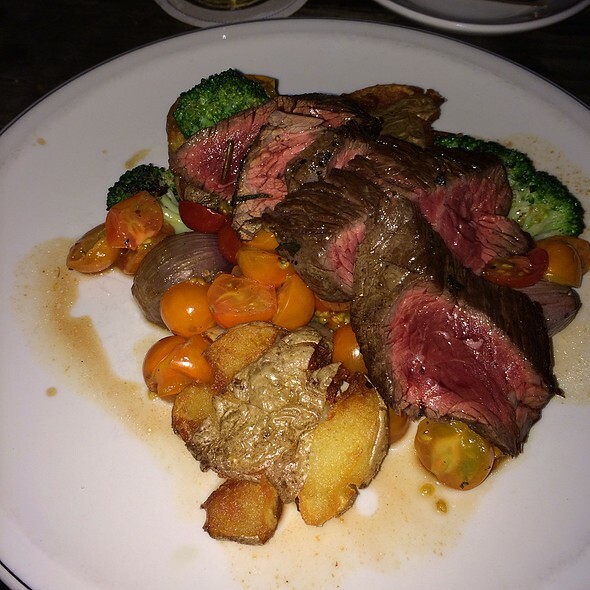 I have been to Woodberry Kitchen a few times, and each previous time has been great. This time, we went for my wife's 40th birthday. We made reservations, and the staff managing the phone was very pleasant. She asked if this was for a special occasion and for whom it was for. We get to the place and are seated promptly. We were initially greeted by a friendly female server, but upon realizing that we would not be ordering drinks and starters (as we had been visiting a few wineries all day) her personality shifted to non-engaging, couldn't be bothered type attitude. None the less, we ordered our meal, which we got the same exact item, the cast iron chicken. During this time a couple sits next to us, and asks about drinks and starters and the same server literally (yes literally) gives them a 10 minute dissertation on the flavor profiles and textures and pairings. Our food arrives not much later, and my wife's food was piping hot, meanwhile mine was lukewarm at best, not steaming as if it had been sitting around for 10 minutes. No worries though, as we ate our meal which was great as usual. Now in the past, for anniversaries and previous birthday events, there as been a complimentary dessert for us or myself. I understand its complimentary and should not be an expectation, but it seemed implied by the staff on the phone when asking what the special occasion was for and for the spelling of my wife's name. Needless to say this did not happen and my wife was actually disappointed. All this said, I know this was one occurrence out of a handful of times we've visited and should not dissuade anybody from going there. The ambiance and food and normally the staff are spectacular. Our meal was extremely late in arriving; so much so the a restaurant came over to apologize and gave us a complimentary bowl of cut fruit to share. While the pieces of fruit tasted okay the whole thing did not look bright and fresh nor was it cleanly plated; just kinda scooped-up and dropped-in. 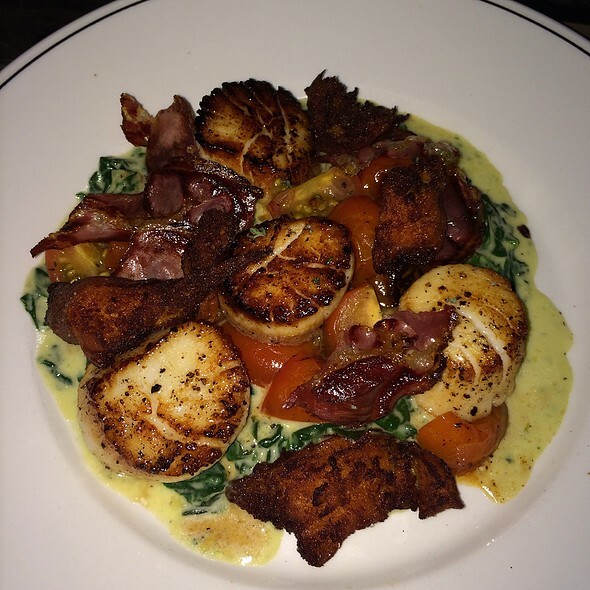 When my dish finally did arrive, the ham and bacon were so hard and tough they were hard to eat; could not finish. The english muffin was unevenly warmed/toasted and tough - there were large burnt spots and then what felt/tasted like raw dough parts. Other than the eggs that looked and tasted okay - the plate was a “hot mess” with the irony being that nothing was hot on the plate; all cold and lukewarm and completely unappetizing. If I was not so hungry by the time the food arrived, I would not have eaten it. My friend’s plate was ok so that was another reason I did my best to eat what was on mine. Great food, great service. Will be back soon. Thank you. The food was excellent but the dining experience was not so great. Tables are WAY TOO CLOSE TOGETHER and therefore, The noise is almost unbearable. because there are soooo many people, we had to wait extroidinarily long for our food. Top quality locally sourced ingredients and excellent service! WK never disappoints. 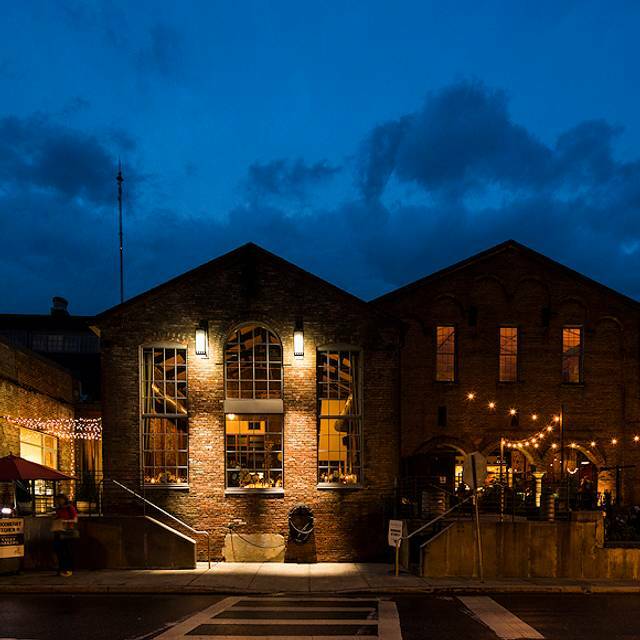 It is one of the very best restaurants in Baltimore and that is why we keep coming back. Local ingredients, creative dishes and cocktails and a great wine list, all in a beautiful, rustic setting. Everything was perfect from the soft crab small plate to the scallop supper--it was exquisite. 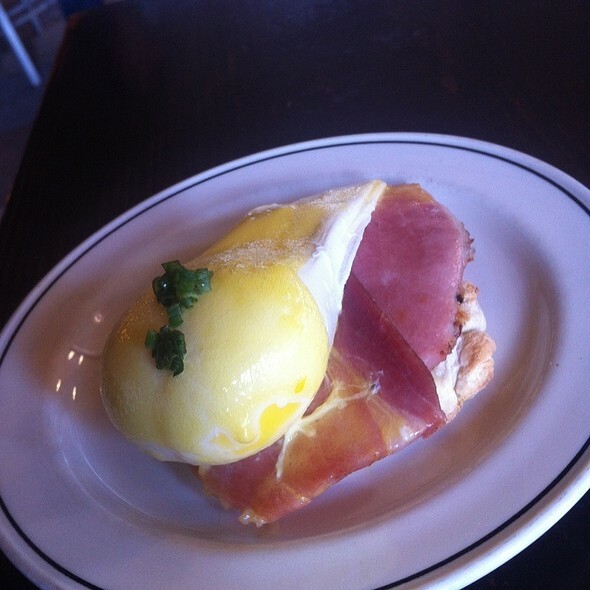 Love, love, love Woodberry Kitchen. Woodberry always amazes me that hey get such great reviews. It must be the food. The service is slow and forgetful, it is very noisy except for one room that was being used for a special party the night we were there. Our guest was 79 and had to climb the stairs so be prepared or tell them before you go that you can't dine upstairs. The food was all very good, Beef and noddles, scallops, and Chesapeake crab pot. I don't know what the hype is all about. Very noisy. Food is over priced and portions are small. Ala carts for sides. Staff was attentive. Busy place lots of bustle and movement. Great people watching and huge bar scene even on a weeknight. Ask for first floor if you can't walk the steps to the loft area. The service here was outstanding with servers being very knowledgeable about the food and willing to make suggestions. The outdoor space is really nice and makes you forget you are on a city block for a moment. The inside is equally nice, so the options are good for seating. Food was delicious and creative. Locally sourced concept is well executed. 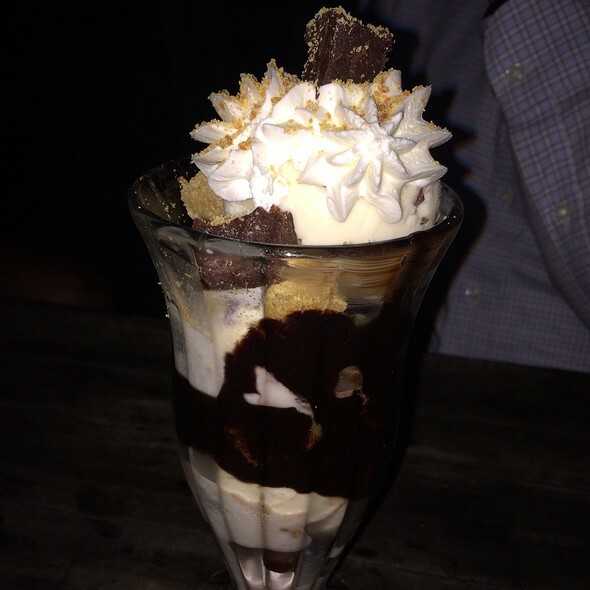 If you are up for dessert, try the CMP sundae with one of the day's ice cream flavors. I tried peanut butter and was not disappointed! 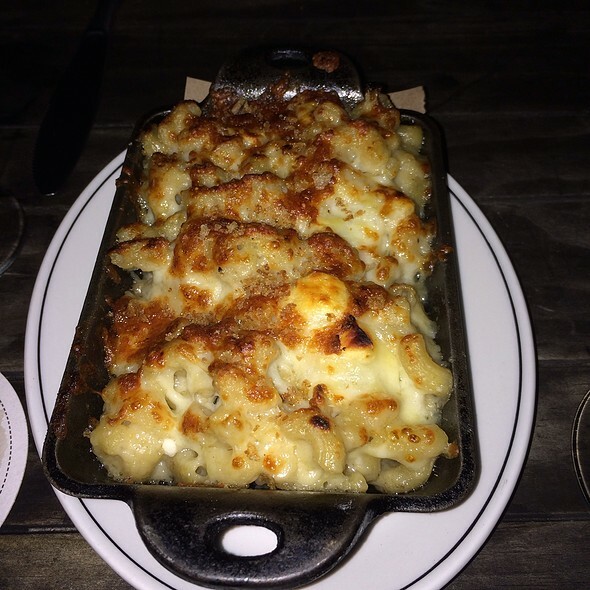 Woodberry is a great restaurant but it comes with its popularity issues. We were seated close to 30 mins after our actual reservation and you do feel rushed while at your table. Food is delicious and drinks are overpriced, but clearly a popular restaurant. Earnest cooks & servers/ excellent ingredients but serious lack of technique/ classic culinary skills neglected. Disappointing. Rooms are cavernous and not terribly welcoming & could easily be tweaked to be more accommodating. Food came in an odd order/ drinks can between apps& main course/ 2 dishes sent back as one was cold & other over marinated & mushy. Wanted to love this place but it fell short! Apple GPS did not give us the best directions to Woodberry Kitchen but if you drive towards Inner Harbor via 83 and take the Falls Road exit, it will take you through safer neighborhoods. Once we arrived, we were star strucked by the beauty of the venue and their outdoor dining area! We sat indoors since it was raining and was not disappointed with our table at all. The food presentation was worth a double-take and the taste was superb! The food is equal to some of the top notch restaurants in NYC where I'm from. Service was impeccable. The wait staff knew the menu well, a tribute to their management. Parking was complimentary! I look forward to returning to Woodberry Kitchen for another celebratory dinner!! We went back to this wonderful restaurant for another anniversary. The staff knew that it was a special occasion and took the time to see how often we'd been there for other occasions. That type of attention is hard to find nowadays. The food, as always, was a wonderful blend of fresh local ingredients and inspired combinations of seasonings and pairings. Recommend the oven baked crab cake and the farm trout, delicious! And ending with the best peanut butter ice cream around was truly a treat! Excellent food and service. We each had an appetizer, entree and dessert. I come here anytime I am in Baltimore; it's my absolute favorite restaurant. 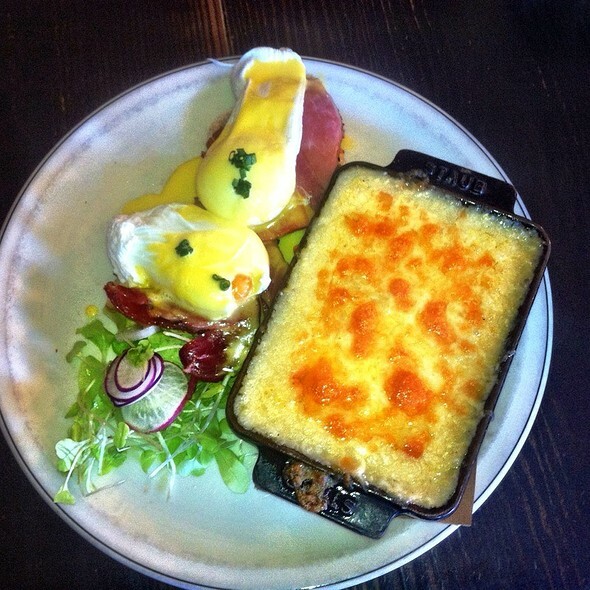 The farm to table element makes it special while still having extra creative dishes. We were very pleased with everything from the food to the decor. The meatballs were amazing. 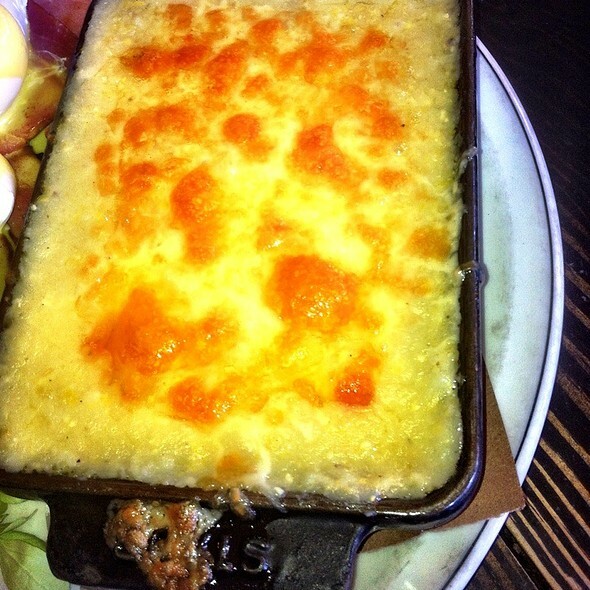 The crab dip was full of lump blue crab meat. The duck was cooked to perfection, it melts in your mouth. The service was fantastic. Our server was very attentive, friendly and informative. Mostly I love that all of the food and wine served is local. I highly recommend. My wife and I went here for the first time and loved the food. The place appears to be a converted mill that is absolutely beautiful. (See photo.) However, the hard surfaces reflect sound and make it very noisy. Service was pleasant but extremely slow. Three courses plus dessert took two hours. We were out for the evening and enjoyed our time together and the food; so, we did not mind. But this is not the place to go if you expect quick service. The food is geared to the season and local sources and was excellent. Make sure to order one (at least) of the flatbreads to accompany the meal. We look forward to coming here again. I was very underwhelmed with the Woodberry Kitchen. After having much discussion about going to celebrate our marriage, we were upset to spend almost 300$ and left hungry. We ended up going to a pizza shop to curb our appetite. Our lamb was tough and rubbery, our server was inattentive and made our dining experience about 2 1/2 + hours. We constantly needed refills and waited a while to get them. Most of our table opted to leave and head home before the restaraunt remembered we were celebrating a special occasions. The desserts literally came out to a deserted table. It even took our server 14 minutes (I counted) to return with our check after asking for it twice. The restaraunt is beautiful and everyone is very knowledgeable and clearly professional...but maybe we just came on an off day. Overall our experience was awful, we will not return. We had a 6:00 pm reservation on a Sunday night. We asked about outdoor dining and were told it would be a 35 t0 40 minute wait. We did not want to wait that long, so asked about two high-top tables against the exterior wall, and were told they did not have table service for food, only drinks, so we agreed to be seated inside. Our table against the window looked directly onto the two no-food high top tables. We were already pretty frustrated by the ridiculously slow service on a Sunday night, so when we saw patrons seated at the two high tops get served food, our frustration turned to anger. This is a crappy way to treat customers. We only eat at Woodberry a couple of times a year - but no more. 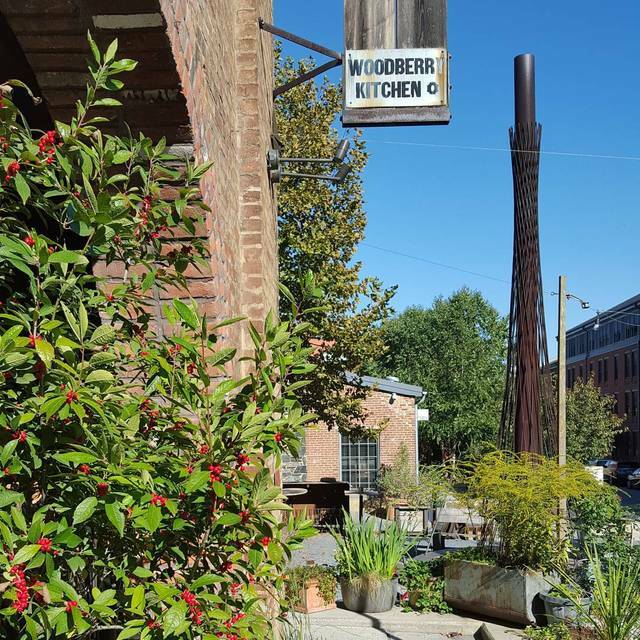 I'm new to Baltimore and love Woodberry Kitchen. The food is wonderful and the ambience, especially if it's nice enough to be outdoors, is lovely. You start your experience with a few imaginitive cocktails at the vibrant bar see attached. The snacks were perfect once seated in lieu of a big apetizer..though the fkatbreads looked good. Best chicken ever here..as well were the duck breasts and soft shell crabs. They are aware enough not to sell local oysters (or any as they are farm to table) in beginning of Sept. We always plan a night here when we drop off or pick up the college crew! Always is and will be one of my favorites. The waiter was exceptionally knowledgable with great recommendations. Left one fat,happy customer!! Great food and service. The sommelier recommended a bottle of wine that was absolutely delicious. I will forever be grateful for his expertise!! While the food was decent, our waiter did not provide good service. He spilled water all over the table the one and only time he cared to top off our glasses while the VIP table next to us not only constantly was waited on but had 3 servers. Some of our food came out cold which attributed to the less than stellar evening we had hoped for. Really enjoyed the meal and the wonderful ambience of this restaurant. We all loved our appetizers, entrees and cocktails. Had a lovely, leisurely dinner in a beautiful setting. I've heard so much about Woodberry Kitchen over the last few years, and it definitely lived up to its reputation. An extensive gluten-free menu made this celiac sufferer very happy! Lovely patio dining. Excellent choice for our anniversary dinner. Sunday brunch was fabulous. The atmosphere & food are perfect. We especially loved the grits! Anniversary and Birthday. Food delivery was totally out of synch with unreasonable lag in everyone being served. Result was a lot of waiting instead of eating. My daughter's after-dinner drink was NEVER delivered--NO APOLOGY. The waiter, Morgon, indifferently noted that the price of the drink was deducted from the bill. Indifference is the best characterization of this dining experience. Service must be equal to or greater than the quality of the food. Woodberry fell way short on the service--both attitude and performance. Food was amazing as always as our server Morgan was super passionate and knowledgeable about the cuisine and the wines.